Posted on February 27, 2015 by Commuter Connection Program	in Blog, Wood Smoke and tagged air pollution, environmental protection agency, EPA, Outdoor Wood-Fired Boilers, OWB, regulation, rules, Wood Smoke, wood smoke pollution, Wood Stove. 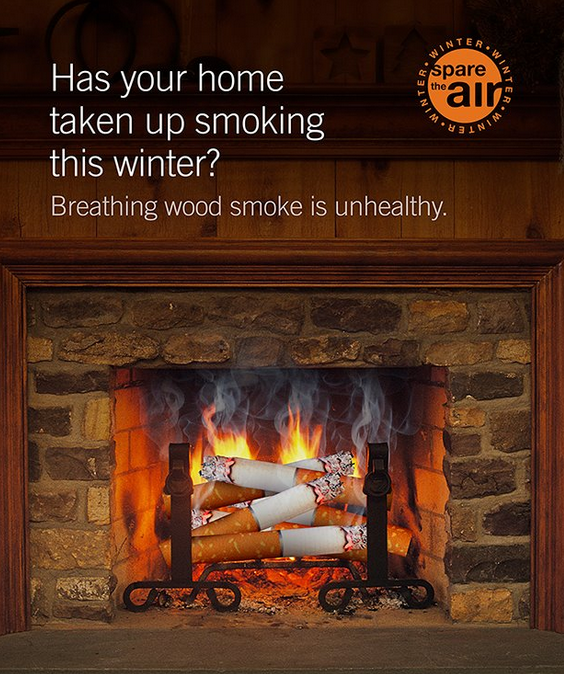 The science clearly shows that wood smoke pollution is dangerous to public health. Wood heaters and furnaces account for 13% of nationwide soot pollution. Particulate matter poisons our lungs and bodies. Biomass such as wood, when burned, gives off large amounts of carbon, nitrogen, and sulfur oxides, in addition to volatile organic compounds. All this pollution causes health complications like asthma, heart disease and other respiratory illnesses. With these new standards, emissions from wood burners will be cut by about two thirds. This will improve air quality and provide between $3.4 and $7.6 billion dollars in health benefits. In fact, every dollar spent bringing cleaner heaters to market will be accompanied with between $74 and $165 dollars in health benefits. That means less asthma attacks, heart attacks, emergency rooms visits, and days missed of school and work. So these rules are a step in the right direction. But the EPA could also be doing much more to protect people from wood smoke pollution. The rules released last week make improvements to wood burners on the market but do not address the wood burners already in use across the country. As many as 12% of homes across the Unites States burn wood as their primary heat source and all those thousands of wood burners will continue to pollute at unhealthy and dangerous levels. These rules also do not cover fireplaces, fire pits and chimineas, leaving other major sources of soot and particulate matter polluting at high levels. If you believe that EPA should take some of these common sense actions to further address wood smoke concerns, leave a comment for them here. I would like to EPA to clearly recommend clean sources of heat before supporting solid fuels. Basic chemistry says to go with the lighter gaseous fuels like natural gas until even cleaner sources like geothermal become economical. The EPA should be embracing best available technology to put health first!